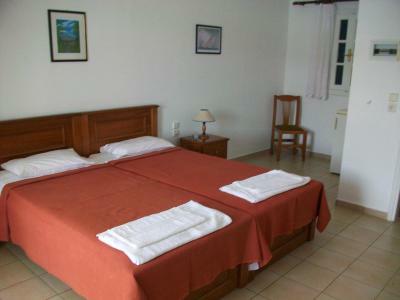 Lock in a great price for Nicolas Rooms – rated 9.1 by recent guests! 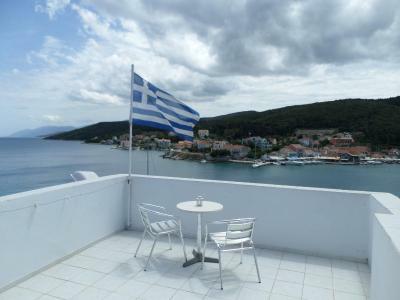 The location, the view of our apartment and overall great value. The tavern being right down stairs is super nice for breakfast... great Greek coffee! 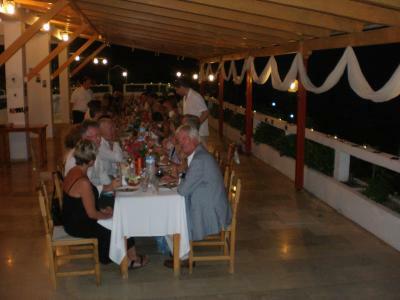 The food was very good every time we dined there too. 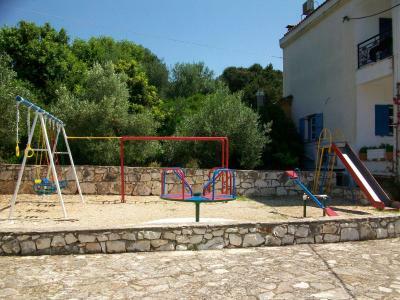 In the heart of Fiskardo, within walking distance to ferry, shops and restaurant. Excellent position with beautiful view. Very friendly staff. 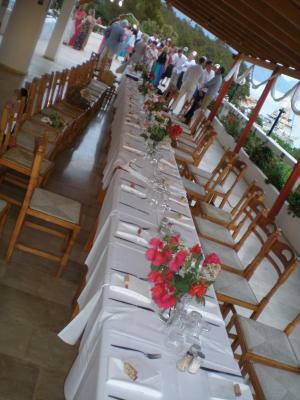 Staff were so welcoming and pleasant and the location is perfect. 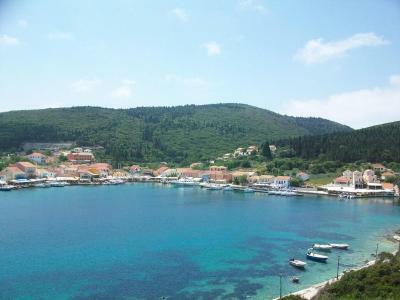 Alex was a friendly host and remembered us from previous holidays in Kefalonia which was nice. 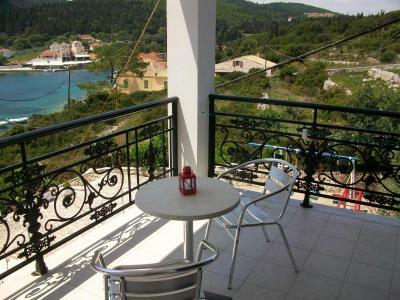 The view of Fiskardo from our balcony was the best. We chose room with the view and this was a great choice. 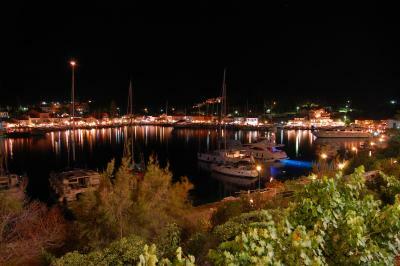 The location was beautiful with a great view onto the harbour, though set apart from the hubbub. 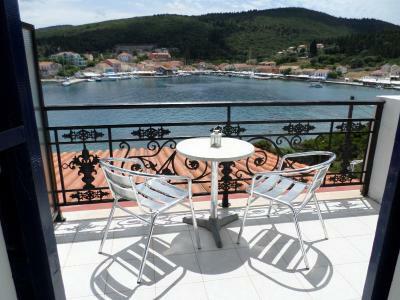 Generous balcony to enjoy it from, watching the boats coming and going. Welcoming, helpful, gracious staff, who readily give information if asked, completely non-intrusive. Food in taverna very good. Try especially their fish dishes. Had a lovely stay. 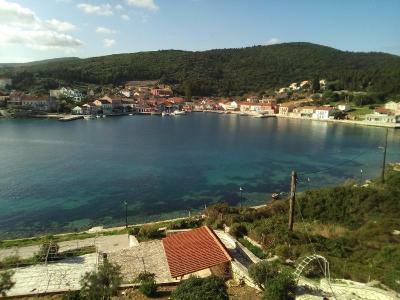 Location is superb,south facing overlooking the harbour.5 minute walk to the restaurants.Tea and coffee making facilities,washing line ,pegs and an ironing board provided.Internet free and good.Very friendly and knowledgable owners who provided a delicious breakfast. 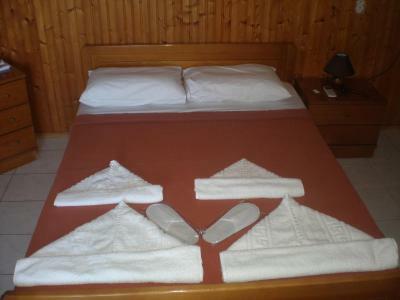 The accommodation was very clean and comfortable. 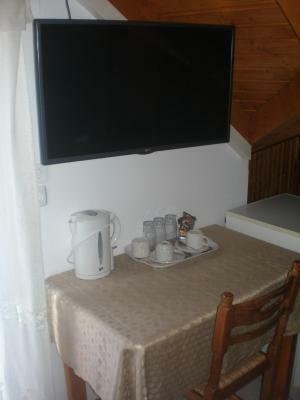 We also had tea and coffee making facilities as well as a full size fridge which enabled us to keep drinks cold which was an unexpected bonus. 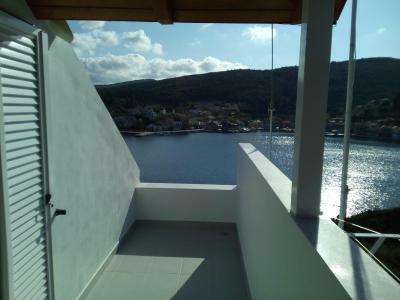 The balcony with views across the harbour was wonderful. We ate in the restaurant two out of three nights and the food was delicious and very well presented. The best element of our stay, however, were the staff who, without exception, were kind and helpful throughout. We left Fiskardho for a week's yacht charter and returned briefly on our way home again. Alex was very helpful and kind, helping to confirm our transport arrangements back to the airport, assisting with luggage and phone charging. Nothing was too much trouble. 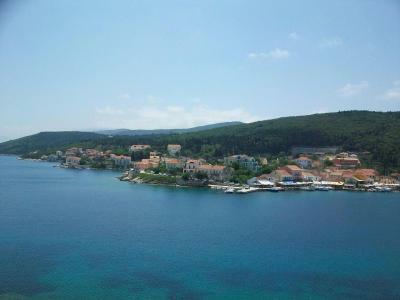 Located in the charming village of Fiscardo, within 650 feet from the center, Nicolas Rooms offers accommodations with views over the scenic bay. 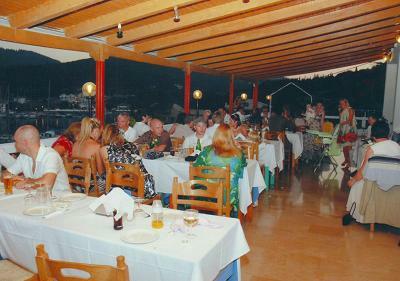 It includes a traditional tavern serving Ionian cuisine and offers English breakfast in the morning. 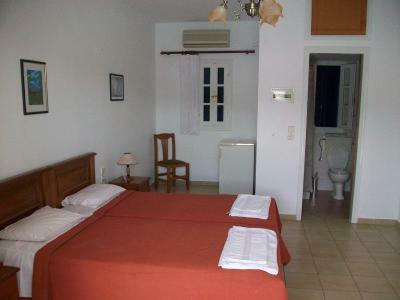 The air-conditioned rooms at Nicolas are simply yet traditionally furnished and open out to a private balcony. 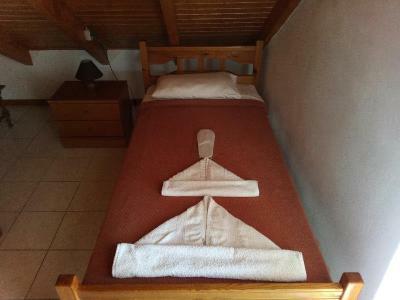 They come with a satellite TV, mini fridge and have an private bathroom with free toiletries and a hairdryer. 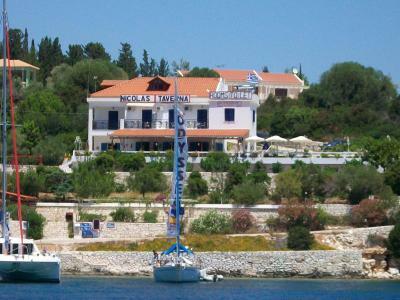 At Nicolas Tavern you can enjoy Kefalonian specialties and freshly cought seafood. 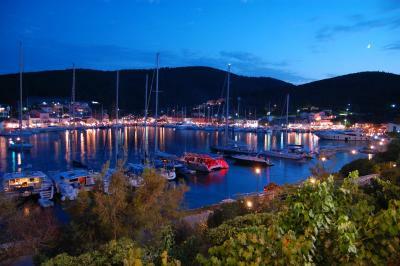 Within walking distance, you can also find more taverns and seaside cafes. 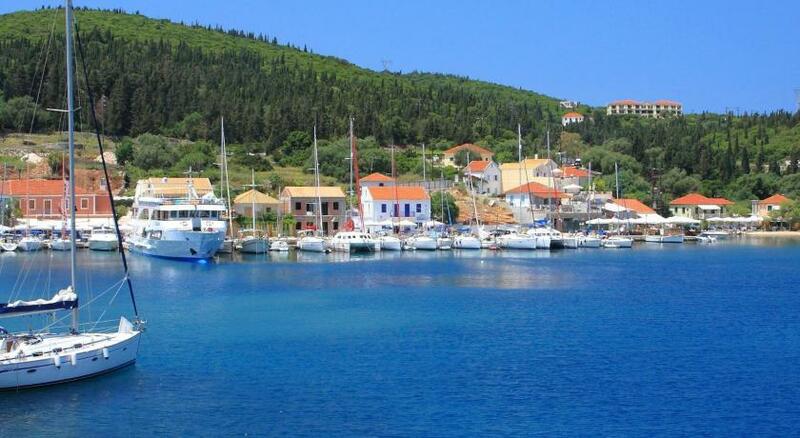 The port of Sami connecting to the town of Patra is 25 mi away, while Kefalonia Airport is at 37 mi. 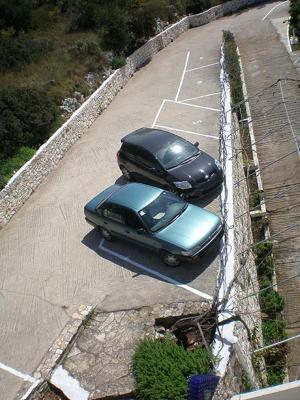 Free Wi-Fi is available in the common areas and free on-site parking is possible. 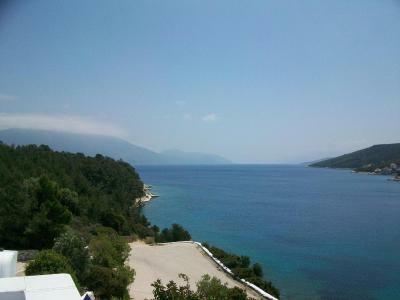 This property also has one of the top-rated locations in Fiskardo! Guests are happier about it compared to other properties in the area. 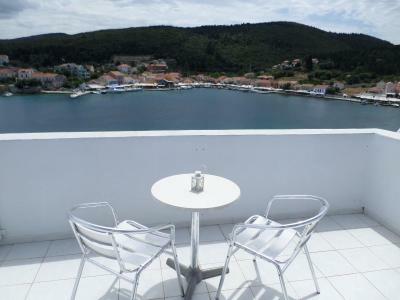 This property is also rated for the best value in Fiskardo! Guests are getting more for their money when compared to other properties in this city. 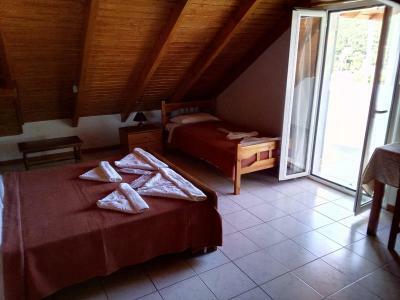 When would you like to stay at Nicolas Rooms? 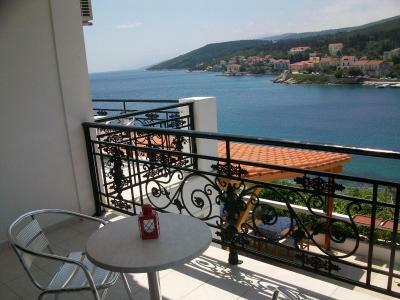 Enjoying panoramic views over the scenic bay of Fiscardo from its balcony, this room comes with a satellite TV, mini fridge and free toiletries. Traditionally furnished, open-plan suite including dark-wood furnishings and offering panoramic views over the bay of Fiscardo. 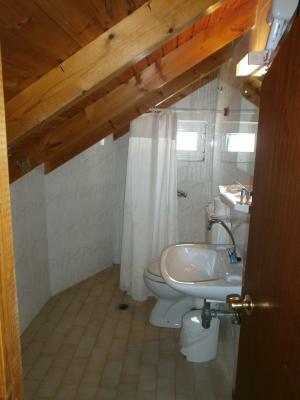 It includes a satellite TV, mini fridge and free toiletries. 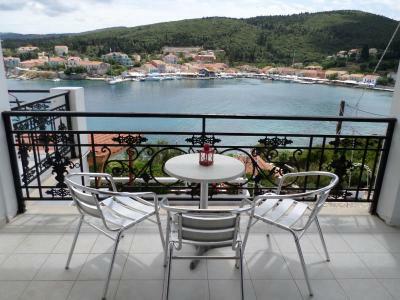 Enjoying panoramic views over the scenic bay of Fiscardo from its balcony, this room comes with a satellite TV, mini fridge and free toiletries. 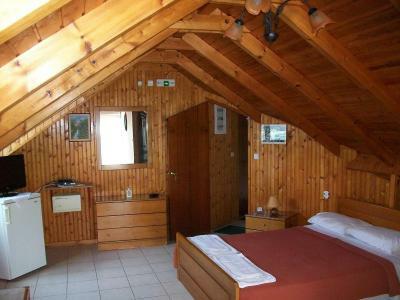 This room type cannot accommodate an extra bed. 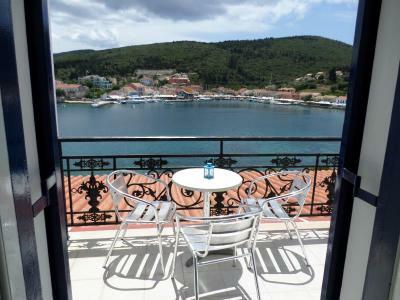 Traditionally furnished, attic room including dark-wood furnishings and offering panoramic views over the bay of Fiscardo. 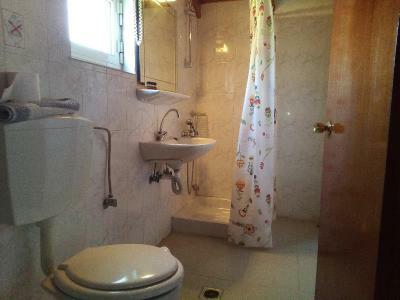 It includes a satellite TV, mini fridge and free toiletries. House Rules Nicolas Rooms takes special requests – add in the next step! Nicolas Rooms accepts these cards and reserves the right to temporarily hold an amount prior to arrival. Booking.com could have been clearer on the breakfast payment. We thought we had pre paid but that wasn't the case. One thing that was not ideal that we had something booked for the morning and breakfast was served only from 9am and we were told that we could come at 8am and once we came downstairs there was nothing there, so basically we paid for breakfast and we did not have it, so we needed to pay again to have a bite in the town. Other thing - cleanness, the fridge was really dirty and there were many dusts under the wardrobe. But overall the staff was friendly and hotel is in a great location. Sound travels between the attic rooms - not a big problem but something to consider and if you are tall - you will bang your head! Very dated basic decor, pet hate of shower curtains. 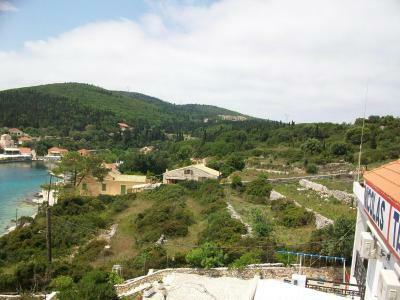 Good location, cheap, clean and lovely views. Very kind and friendly staff. Superb food. There was nothing that we didn't like and wouldn't hesitate to return. 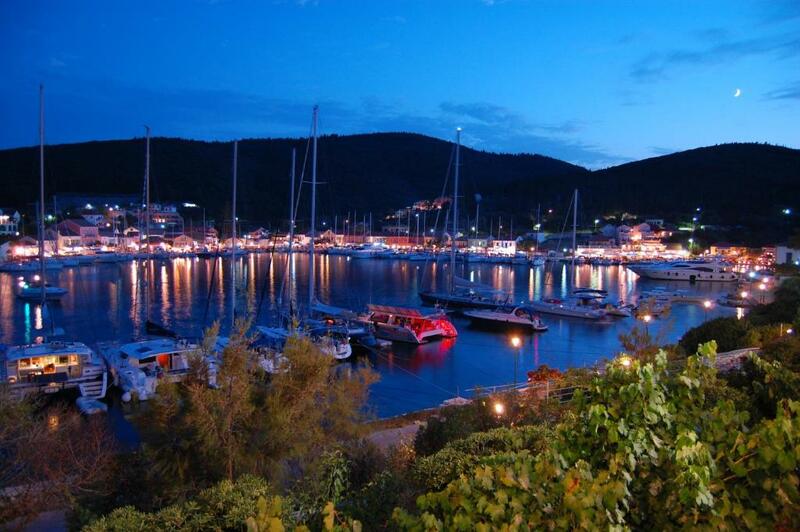 The tavern is close to the heart of the village and overlooks the harbour. We had a room in the roof and the views from the balcony was simply superb.